When put on the market, every medicine for human use authorised in the EU must be accompanied by product information (PI), which includes the package leaflet for patients and the summary of product characteristics for healthcare professionals. 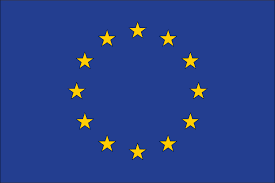 Throughout 2018, the European Commission, the European Medicines Agency (EMA) and the Heads of Medicines Agency (HMA) carried out extensive discussions with all stakeholder groups (patients, healthcare professionals, regulators to the pharmaceutical industry) to determine whether this product information could be disseminated electronically. Key principles defining an EU-wide approach to support the harmonised implementation of electronic product information (ePI) have been put together. Today, the European Commission, the European Medicines Agency and the Heads of Medicines Agency are launching a six-month public consultation on the draft key principles that will form the basis upon which electronic product information (ePI) for medicines will be developed and used in the European Union. Vytenis Andriukaitis, Commissioner for Health and Food Safety said: "The development of electronic product information for medicines is an important step in digitalising health and care. I am convinced that electronic product information for medicines can deliver a practical, tangible benefit for both citizens and healthcare professionals. I look forward to the results of this consultation as it is crucial that electronic product information (ePI) meets the expectations of stakeholders and citizens throughout the EU". See also press release.